The New £1 Coin will be issued March 2017, are your Lockers ready? The current £1 coin is being replaced for the fi­rst time in over thirty years because of its vulnerability to sophisticated counterfeiters. That is why a new, highly secure coin is being introduced in March 2017 to reduce the costs of counterfeits to businesses and the taxpayer. The new £1 coin is very different to the old one. This means that you will need to upgrade your coin handling equipment. Coin handling equipment includes vending machines, car park ticket machines, leisure centre lockers, supermarket trolleys, gaming machines, self-service checkouts, cash counting machines and any other machine that accepts £1 coins. 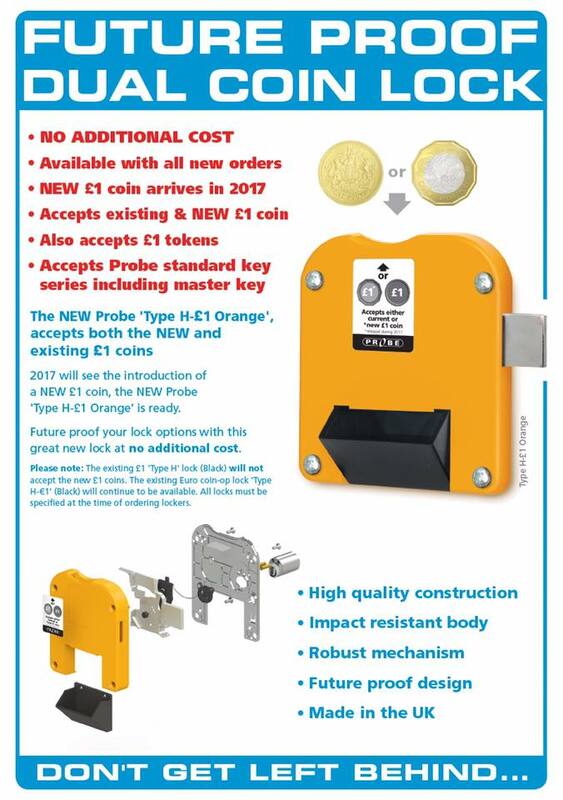 Check whether you operate equipment that uses the £1 coin. Contact your equipment supplier to fi­nd out if you need to make any adaptations or upgrades. Make the necessary changes to your coin handling equipment. Train your staff‑ on the features of the new £1 coin.